-Suitable for all hair types, safe for coloured hair. -2 in 1. 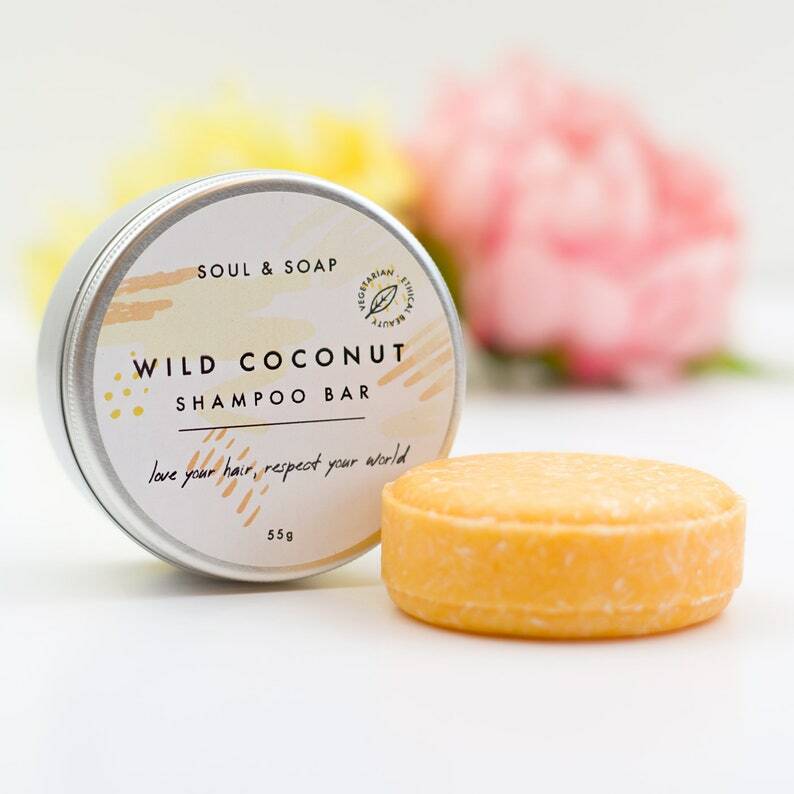 This bar works as hair conditioner too leaving your hair smooth and soft after each wash.
-Suitable for vegetarians, no animal testing. *Please note: Marking as a "gift" at checkout does NOT add gift wrap or a card. Marking as a gift simply creates a gift receipt, only necessary if sending directly to recipient. This is the best shampoo bar I had, leaves your hair nice and soft. Smells absolutely gorgeous and lathers up nicely. Payment accepted using Paypal and DebitCards. Please note you do not need a Paypal account to make your payment. At Soul and Soap we want you to enjoy your products as much as we do. If you are dissatisfied with our products in any way, please use our contact us window to get in touch. Our friendly team will assist you with the returns process. You will are liable for any postage costs incurred as a result of returning an item to Soul And Soap. A refund can only be given provided for items returned and on inspection are in perfect condition. Please note that Soul and Soap cannot refund the postage cost incurred on items being returned to us. Refunds can take up to 14 days to process depending on your card issuer. We will normally dispatch the order within 1-2 days of receiving cleared payment. Excludes holidays, weekends and custom made work. Your order will be shipped to the address provided at the checkout. Please note that customers ordering from outside the UK are responsible for paying any import duties, taxes and fees levied. Most orders are dispatched by 1st class Royal Mail or Royal Mail 2nd Class. International orders - All other orders are sent using International tracked or signed (depending on the country) and a signature may be required. Order before 10am to receive your order tomorrow. Orders made after 10am will be delivered the day after). If you have placed order with Next Day Delivery on Saturday it will be dispatched on Monday with delivery for Tuesday. Deliveries are made anytime between 8am - 6pm. Order before 10am Friday to receive your order on Saturday. Deliveries on Saturdays are made anytime between 8am - 6pm. Personalised items cannot be returned for a refund unless faulty. Our products are made by humans and not machines, small imperfections / differences in shape, size and colour can happen and are part of the charm of a handmade product. This part of the handmade process is what makes our products unique and should not be seen as a fault. They will never affect the overall aesthetic of the product and its ability for use as intended. Yes! Please message us for customisations. We can do wedding favours, custom gift sets, custom messages for gift cards, etc. Just ask! We do welcome wholesale orders! Please tell us more about yourself and your business when messaging us.